Alumalite Lineare™ is a new, modular trade show booth system created from lightweight, ultra-strong, modular Octanorm™ framing and components. Each kit includes a limited Lifetime Warranty. A 10′ trade show booth with counters and full graphics. 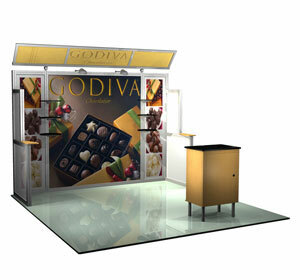 A 20′ trade show booth with counters and full graphics.